6 Units of Yacht & Smith Kids Winter Beanie Hat Assorted Colors Bulk Pack Warm Acrylic Cap (6 Pack Gray) - Winter Hats at low wholesale prices. 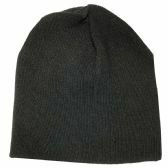 alltimetrading.com offers Winter Hats at bulk discounted prices. BEANIES FOR COLD WEATHER: Comfort stretch beanie will provide added warmth by trapping heat underneath while preventing the cold air from entering. The thicker beanies helps to insulate and keep the head warmer for longer. 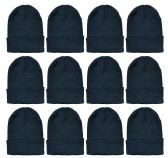 UNISEX BEANIES FOR COLD WEATHER: . A comfortable and thick beanie help you to block out the wind and reduce the chance of catching a cold. Ideal for kids who love to play outside.Perfect for the playground and snow days. VALUE PACK: Get the most for your money when you buy winter hats in bulk. Great quality stretch beanies at a great value. Kids love the variety of colors and soft stretchy material. Take them along on your next ski trip or outdoor event! Get your little ones ready for winter with warm stretchy beanie hats in a variety of colors and styles. Durable knit construction and warm acrylic material is just right to keep your kids warm and toasty while they play outside. Bulk pack in assorted fun colors they will love! Buy a value pack and keep spare hats in the car or in their backpacks. SKU: 1946913 Free same day shipping.